The last two months not posting on social media has been a unique time for me of personal reflection and reset. I will resume posting again tomorrow, January 1, sharing some of the things I learned during this time away. I want to bless each of you in the coming New Year with an increased realization of the goodness of God in all areas of your life. From the Elkins home to yours, Happy New Year! Labels: Change, Discipleship, Discipline, Faith, Freedom, Future, Hope, Kingdom of God, Restoration, Revelation. For the last few weeks, I had been sensing a change was coming. I’ve written daily for several years. This daily routine was primarily for me to learn the discipline of writing. Over the years, this routine has become the seedbed for several books and opened the door for new relationships. For that, I am grateful. I am sensing a personal reset is taking place. To partner with that reset, I will not be publishing on social media for the remainder of the year. I will ask the Lord in January of 2019 if He wants me to re-engage at that time. 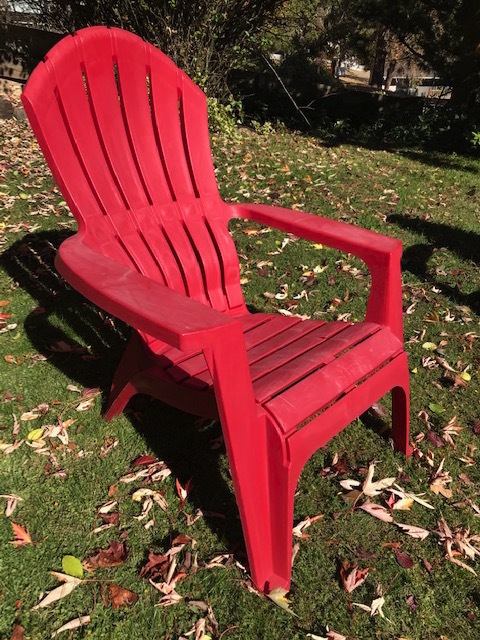 Perhaps it was the passing of Eugene Peterson that finally prompted me to take this step. I need to enter a reflective space. Because a reset is coming, I do not want to miss the adjustments that reset will require. I believe the Lord is bringing a reset not just for Jan and me, but for others as well. I want to reread Eugene’s Peterson’s writings and others like him and tap the depths of their wisdom and the history of their obedience. I want to meditate on the Word seeking a deeper revelation than my history or current assumptions can provide. I want to read good poetry to see this life from a creative perspective. I want to step aside from the things that can muddle the prophetic nature of our message. I am purposefully repositioning myself to listen intently for the still small voice of God in the midst of all the clamor and noise that currently surrounds our faith. Thanks and be well. May God richly and abundantly bless each of you! In the natural realm, a frontier marks a specific geographic location. It is static and once crossed what was previously a mystery becomes known. In the spiritual realm, a frontier is a mobile and always advancing line that moves the marker of what was known farther ahead of us toward a distant and eternal horizon. Spirit-breathed revelation takes us on a journey into unexplored places of faith. Never settle. Always be willing to journey with God past old frontier markers into the never-ending and always expanding depths of His revelation. Labels: Faith, Future, Kingdom of God, Prophecy, Revelation. Each morning, Jan walks into our living room where I sit in my writing chair. As a ritual, I rise and hug her, my face pressed into the right side of her neck. I kiss her and take in her fragrance. We always linger in our embrace. It seems to reset our life before the day begins. As I write, I anticipate her arrival. Something beautiful happens when the chemistry of perfume is expressed in human biology. A reaction occurs in the mixture. When applied, the perfume takes on a uniqueness possessed only by the person wearing the perfume. It becomes their fragrance in the application. I could be blindfolded and smell thousands of necks and know Jan's fragrance above all the rest. Our faith must have this uniqueness of expression and intimacy. Without it, we will fall back on a cold and passionless thing called religion. In religion, there is no relationship to carry a fragrance. No place of intimacy, no one to hug. Just hard positions and lines drawn in the sand. Passion and intimacy are not valued because they cannot be measured or promoted, only received and enjoyed. This is why our journey of faith if it is to remain healthy and vibrant, will require a constant returning to a place of intimacy with God. In fact, the consistent rediscovery of intimacy is the only thing that will ensure our long-term wholeness as spiritual beings. It is our map for life and the course corrector for our future. Each of us carries the fragrance of a broken jar of costly perfume. The nard of a shared intimacy with God was poured into our hearts when we became one with Christ. As Jesus reclines in our hearts at the table of our fellowship and we pour our acts of love upon Him, He tells the religionists to leave us alone just as He told the betrayer of intimacy 2,000 years ago when he complained about the extravagance of love poured out upon Jesus describing it as a waste. Follow the fragrance of intimacy with God. The source of that beautiful perfume will answer all your questions and show you the way forward. It’s all art, this creativity. upon early morning mist parchment. None of this is non-art. expressers of His Creator touch. Yesterday, a hero of mine passed away. Eugene Peterson was known to many for his translation of the Bible called, The Message. I was able to correspond with Eugene a couple of times over the last few years. We talked about writing and leadership. He said he looked forward to reading my book, The Sound of Reformation. His words of affirmation about the book are a humbling treasure. His writing and commentary meant a lot to me as a pastor over all the years of my ministry. He expanded my faith and helped me understand the power of honor and faithfulness. In 1981 as a first-time pastor, I entered the Christian bookstore in Kalispell, Montana and bought a book by Eugene titled, Five Smooth Stones For Pastoral Work. At the time, I had no idea who the author was or that he grew up in Kalispell following his Pentecostal mother into logging camps to preach the Gospel to rough and tumble miners. As I read Eugene’s book, he was talking about things beyond my level of maturity at the time, but I held onto those truths throughout the years as my experience and maturity eventually found a place of understanding for his wisdom. I would end up reading many of the books Eugene would publish during his lifetime. Men and women who carry a life of character and honor like that of Eugene Peterson do not have to be physically present in our lives to be a mentoring presence. Over the last 40 years, the Lord has used a number of people, some who have gone ahead and some who are still alive, to make significant deposits in my life that God has used to steer me toward my destiny. This summer, Jan and I vacationed on Flathead Lake in northwest Montana near to where we planted our first church 38 years ago. Our lakeside cabin was not far from the Peterson home where Bono met Eugene a few years ago. On our morning walks, I felt I needed to keep walking past the Peterson home and not disturb Eugene. Some of our most important relationships are kept secure by honoring a person’s private space and not becoming another demanding presence in their life. In his life and writing, Eugene Peterson helped me learn how to live and lead well. In his death, he modeled how to die well – a final journey of faith we will all make someday in the future. As Jan and I were walking into town, I noticed a line of trees still carrying the fullness of color in their fall foliage. 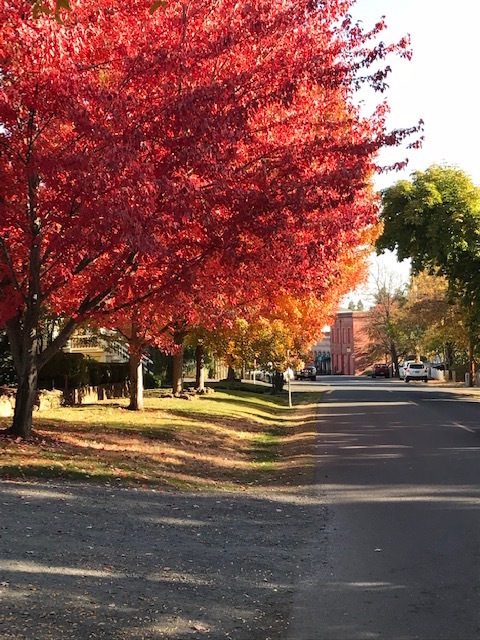 Most of the leaves on the other trees in town had already fallen, but this line of trees was still in the fullness of its colorful display. 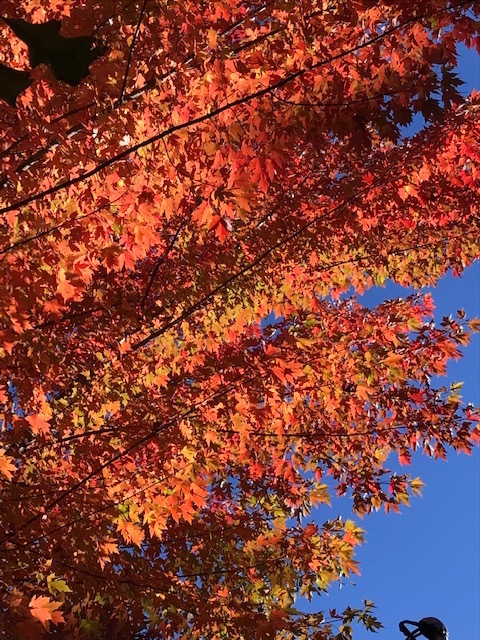 As I walked by the trees, the Lord impressed on me that some of you fear the end of this season and the approach of something new. Don’t fear the new and the unknown. It's all in God's hands. In this transition, the Lord will allow the goodness of what was to linger longer than expected to get you through this change before the promise of something new appears. You will always have a representation of God's goodness in each season of your life. Look for the color and beauty in the middle of your doubt and concern. You are not alone. We all have to deal with these things at some level. 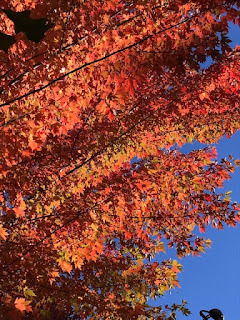 Learn to interpret each transitional season with an outlook of hope in the goodness of God. Hope will give the promises of God a place to assemble and manifest the future you are about to enter. Hope will also open up a new level of trust for you to see with the eyes of faith what God has planned for your future. Labels: Change, Courage, Discipline, Family, Fear, Freedom, Integrity, Justice, Obedience, Peace, Provision, repentance, Restoration, Transition. With the mid-term elections in full swing and emotions running high, it is not too late to allow God to transform the sound of our voice and the impact of our lives to align with the greater purposes of God’s Kingdom. We all need a filter through which to process what is taking place. Each of us has Scripture, insight from the Spirit and the availability of wise counsel. These resources can mold our voice and direct our actions for the good if we are willing to engage the balance and wisdom they provide. Through these filters, we can sift the voices and images we are being asked to believe to see if they contain the heart and message of God. It is our individual responsibility to sift religious leaders, newscasters, cultural pundits, and even our friends to determine the quality and integrity of their message. 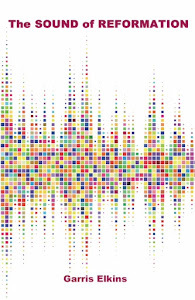 If the input we are receiving is not able to pass through these filters we have not yet heard the voice of God. Voices once prophetic are now announcing conspiracy theories, intrigue-laced political maneuvering, and solutions available to the basic inquiry of an unredeemed mind. These things sell and capture an audience, but they do little to advance God’s Kingdom. In this time of critical national importance, we need Heaven to speak a depth of wisdom not found when our voice sounds like the fearful and frustrated culture. None of this is new. It has been repeated in history and sadly plays well in the Church and the wider culture when unresolved frustration is allowed to lead the charge. “Remind the believers to submit to the government and its officers. They should be obedient, always ready to do what is good. They must not slander anyone and must avoid quarreling. Instead, they should be gentle and show true humility to everyone”(Titus 3:1-2). To some, this approach will appear naïve and simplistic. It will ring of a narrow intellectual bandwidth or worse, a weakness of character. It does not sound hot-button enough to enter the bloodthirsty ring of our pugilistic cultural debate and win the fight. To those who fault the instructions of Paul, facts, gotchas and putdowns are what will carry the day. These shallow and Spirit-less solutions will end up replacing a message of truth spoken in love and eventually rob the Church of its prophetic voice in each sphere of cultural influence. If we fail to filter the sound and content of our voice in response to the constant barrage of emotional stimuli we are receiving, we will miss the downloads of Heaven sent to reveal God's preferred future. These downloads are only discovered if our alignment is with the heart of God, not the informational waste found floating in the cesspool of anger and dishonor that is filling some of the conversations and opinions currently being offered as the way forward. 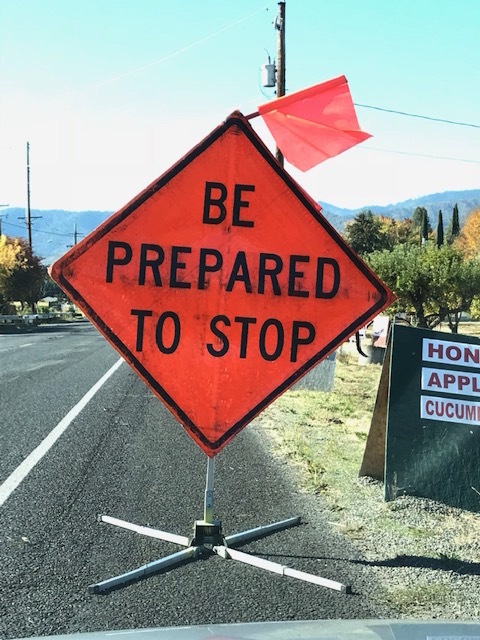 I was driving around town completing some errands and noticed an abundance of “Be Prepared To Stop” signs. Several road projects are being completed in our community so the bright orange signs are very present. After passing the fifth sign, the Lord began to speak to me. Many prophetic words have been issued about advancement and acceleration. These words have a sense of motion attached to them. I agree with the encouragement provided by these words, but not everything the Lord speaks is about moving forward. There are some instances when standing still and waiting is the instruction of the Lord. 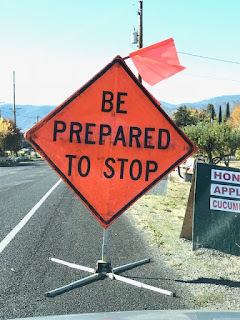 Just like the signs in our town announcing roadwork ahead, in the Spirit, there are times when we need to wait while the Lord prepares the way for us. Some have kept moving forward when a way forward was not yet prepared. In their impatience with the Lord’s timing, they experienced a premature arrival. This prematurity has caused them to get stuck in an unprepared place. Others ran off the yet-to-be-made-ready road of their calling. In an impatient world where bravery and courage are typically assigned to those who take charge and do something, waiting can appear to be a lesser choice. Never allow the pressure of a circumstance, the counsel of another person or your own need to appear in charge push you past a sign from the Lord to wait. In the waiting, the way will be opened in the perfect timing of God. Trust in His signs. They will never fail you. “Wait patiently for the Lord. Be brave and courageous. Yes, wait patiently for the Lord” (Psalm 27:14). A spiritual father or mother must be secure enough in their calling to let their offspring play unsupervised in the real world. This release will reveal if what the parent placed in their children by wise counsel and a loving parenting presence will actually work when the child is alone with God and takes responsibility for their own decisions. Without this release, the relationship will not have the depth of maturity and joy God desires for our intergenerational relationships in the Kingdom of God. God has been working on your behalf without your knowledge. What He is about to do in this season of your life was originally set in motion by an act of faith from your past. You forgot about it, but God hasn't. What is about to take place will come as a surprise to you but not to God. A few days ago, I set the stopwatch setting on my iPhone to time a task I was doing. I got diverted and forgot about it. The next morning, I went to set my phone to time another task and realized the stopwatch had been running for over 18 hours continuing to measure what I set in motion the day before. The stopwatch continued to run as I slept through the night. The smallest acts of faith in our past can have a significant impact on our future. Just because an act of faith was small and forgotten does not mean it lacks the power and authority to accomplish the most profound things. God does not measure our faith by the limitations of human measurement. He measures by the condition of our heart. The Lord never forgets the seeds of faith we plant in love and obedience to His will. Your act of faith was planted in the soil of God's heart. It will produce the harvest of a much larger spiritual reality than you could imagine from just a single seed. Your seed of faith will become a field of miraculous provision. When this field of harvest becomes a reality, you may be like me when I looked at the stopwatch on my iPhone and realized I had set the timer the day before and forgot about it. At that moment you will remember your act of faith and the promise of God that kept the potential of the seed alive. When this happens, you will give Him all the glory and honor when the fruit of your faith is finally harvested and remembered. A fresh encounter with the presence of God is coming. Our theologies, our cultural barriers, and our personal opinions will not be able to stand in His way. Time is compressing under the weight of His passion. An explosion of His presence is ready to fill the Earth to accomplish things not imagined without a renewed mind. In 1979, I was a young man running away from a commitment I made to Jesus as a child. The denomination I was part of in my youth loved God but did not believe in a present-day charismatic expression of the Spirit or the gifts. They said that all ended with the first apostles. In the middle of the night in 1979, Jesus walked into our bedroom and stepped through all my prohibitions and baptized me with the Holy Spirit and gave me the first syllable of a heavenly language. He could do this because He was God. He did not need my permission or a belief system that agreed with His approach. That night, I was wrecked and remain wrecked to this day because of God’s invasive love. If you do even a cursory read of Scripture you will find my encounter with Jesus in the middle of the night was not an odd occurrence. From Genesis to Revelation, nothing has been able to stand in the way of God’s love. On the road to Damascus, Jesus met Paul and turned his life and theology around. Immediately, he began to love what he wanted to destroy. Peter went back to fishing after miserably failing Jesus three times. He would have an encounter with the Lord over an early morning shore-side breakfast that would restore him and reset the trajectory of his life. I could make a list of people in my own life who the Lord had to come and get because their current understanding of theology, culture or personal opinion did not have a gate through which the Almighty God could enter and begin a process of transformation. Jesus does not need a gate. He crashes through our puny little gates of objection and ignorance because His love knows no boundary or restriction. God is coming to encounter His Church in a new way for a new season. When He arrives, He will crash through our foolish little barriers of sectarianism and our ornate gates of religious opinion. When God crashes through our opposition it will happen because He has arrived as God – the sovereign, all-powerful, loving God who can do anything He wants at any time He chooses. He can even violate our idea of who He is or how He should conduct His Kingdom business. my face toward the sun. shaken from maple tree limbs. a calm around my face. last days of Indian summer. This week, we had a costly and much-needed repair project take place at our home. Our old sewer line needed replacing. It was not something we had in our budget, but such is life. Our house was moved onto our lot in 1948. It was a small officer’s dwelling from a World War II military base here in southern Oregon called Camp White. When the base was decommissioned, the houses were sold off at auction and moved to various locations in our valley. Over the last seventy years, the sewer pipes had become compromised. Roots from our trees would fill the line requiring a twice-yearly de-rooting. We contacted a plumbing contractor who specializes in trenchless technology. They employ something called a bursting head. 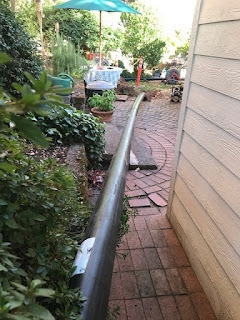 It is a pointed steel device pulled by a cable through the old clay pipe cracking the pipe and towing into place behind the bursting head a new plastic pipe. It is all done underground and out of sight. No surface trenching is required. Lawns don’t get torn up. Trees don’t die because their root system was severed. The plumbing contractor pulled a hundred feet of new sewer line underground. Our new pipe should last long after Jan and I are gone. 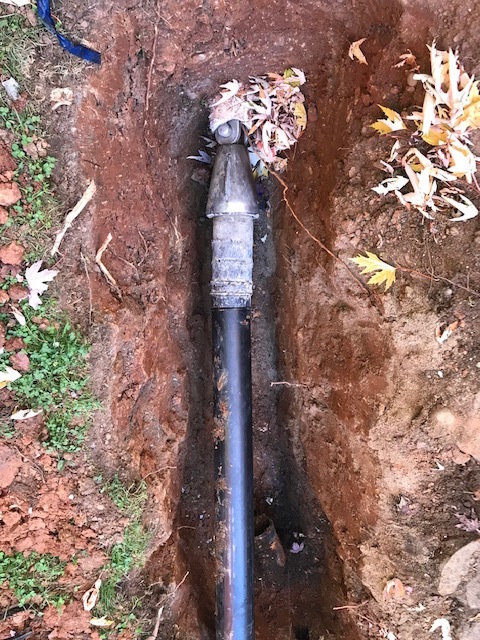 As I watched this unique way of replacing an underground pipe, I thought of how God can work in our lives. Some of His most profound work is done out of sight and literally, out of mind. We think we need to always be aware of what He is doing or that He only does things we have prayed about or can understand with our intellect. I used to think that way until I understood something deeper about the nature of God. Many times His love will not burden us with the details of a process of restoration. He just does it - out of sight and out of mind. When these projects of restoration are finished all we can do is worship Him and thank Him. Like our old sewer line, some of what has worked in the past in your life may no longer be working. Parts of your life might have become clogged. You know God is doing something new and you may see the beginning of that work like I did when I saw the bursting head first enter the old pipe in the trench. I would not be able to see what was taking place underground that would eventually install the new pipe. It reminded me of those times in my life when God did something for me simply because He loves me without requiring my moment-by-moment participation or my understanding. These hidden works of God inch along unseen toward the other end of a problem where a new connection is finally made and a miracle takes place. At that moment, we realize all the work was being done under our feet, unnoticed, as we went about the daily affairs of our lives. That is how God will, at times, accomplish a seemingly impossible task just because He loves us. their sweet fruit a memory of summer. little green ones too late to become red. forming lofty piles kicked by children. with the fragrance of hearth, home and hope. clearing the sky of summer’s traffic. its slow progression now wholly upon us. A man named Jerry Cook radically changed how I view the Church. Over a span of thirty years, I listened to Jerry speak at conferences and read his writing. I also had the opportunity to sit in several small group settings with Jerry and glean his wisdom. Toward the end of his life, he spoke in our church. Each contact was an honor. Jerry’s first book, “Love, Acceptance and Forgiveness,” was the seedbed of my understanding of how the Church should function in both heart and deed. That book had a significant impact on the Church across denominational lines and a wide variety of theological opinion. It was one of those rare books that can reveal the heart of God and simplify our calling as people who follow God. Years after writing his first book, Jerry wrote another book titled, “A Few Things I’ve Learned Since I Knew It All.” The title caught my attention. I was only a few years into pastoring at the time and still developing, so when a noted man of God admits he doesn’t have it all figured out, I want to listen to that voice. It seems we all can get to a place where we think we have this life of faith all figured out. We become confident that our current version of God, Scripture and the Church is the purest. As someone who is seen as a spiritual father and an elder in the faith, I want to publicly say, I am still working some things out. While it is wise to have an informed position, never forget our position today on matters of faith may differ from the position we hold ten years from now. That is the nature of revelation. We only see parts of a much larger truth. Appearing all knowing to a naïve audience might sell books and secure speaking engagements, but it does not reflect a depth of spiritual maturity. One of the most mature things we can do is keep our hands open to change and the discovery of a new depth of truth. That openness does not dismantle our essential beliefs. It just takes us deeper to a simpler and less sectarian place where the Spirit is revealing aspects of God and His Kingdom that our current level of understanding cannot discover. This is a photo I took of a steel grate that covers a hole a dug by a prospector during the southern Oregon gold rush of the 1850’s. The pit is deep. At the bottom, an old antique car rests in a dirt tomb along with various discarded articles like an old miner’s stove and tin cans. A few years ago, a young deer fell into the hole so those who manage this public hiking area thought it would be wise to cover the pit and install a plaque describing the history of the area. The steel grate reminded me of God’s word. The pit the grate covers is like any place in our life that a trap of sin is present and uncovered waiting to lure us forward to step over its edge into the depths of deceit. Like uncovered mining pits, there are some things in life we should avoid. These unprotected places become dangerous pitfalls in a journey of faith. Some reinterpretation of our original understanding of Scripture is healthy and needed. Much of this is because we have assumed things through tradition that were never part of the original understanding. In this quest for truth, we must be careful. This is not a trek to make alone. We need community and wise counsel to study these issues in an attempt to bring clarity and return us to original intent. An unhealthy and unwise reinterpretation can remove the steel grate of God’s word and make us vulnerable to the dangerous depths theological fads fueled by a culture, and, in some cases by believers attempting to redefine historic truth to avoid the confrontations and challenges that truth will bring to our conversations and relationships. Just before I continued on with my hike, I jumped on top of the steel grate and looked down into the depths of the pit. I would only attempt this from atop the security of the steel grate. I felt safe standing on bars steel bars like a believer would feel standing on God’s word and looking down into a deceptive pit of sin. As I looked into the dark shadows, I saw the rusted hulk of the old car and the rubbish. I would not want to stumble into the hole and try to get out on my own. Jesus went into the pit of sin for us and came out victorious. His victory allows us to live free from sins imprisoning depths. The Lord and His word now cover the pits of sin that line the trails of our lives. That is a comfort and security only available to those who have their weaknesses covered by the strength of truth. From that place, God can offer us a protected perspective only if the steel grate of truth remains firmly in place. That unique perspective will give us wisdom and discernment, two things critical to living a life of faith. When I was on the football team at Whitworth University in Spokane, Washington, our coach asked if any members of the team could help a friend. The coach’s friend was a doctor who lived in the northern panhandle of Idaho. He was a sheep rancher. In the winter of 1969, a deadly snow storm was killing his unprotected sheep. The early storm caught the doctor off-guard. He was halfway through the construction of sheep sheds. The roof had not been installed in time. The doctor needed a few football players to help his Basque sheepherders finish the roof to get the sheep out of the weather. I had a free weekend and the pay was good, so I volunteered. We finished the job, and the sheep were brought in from the storm. The rest of the animals survived. On the final evening, we sat down to dinner with the doctor and his wife and the Basque sheepherders we had worked alongside. The dinner was a victory celebration of sorts. A Basque feast filled the table. It was amazing. On the drive back to Spokane, my belly was full and so was my wallet. It felt good to have helped create something that allowed life, not death, to prevail. When I recalled that memory from long ago, I thought of the Church and how important it is to create a safe place for people to survive the deadly storms that blow into our lives from time-to-time – storms of betrayal, division in an unsettled culture and the subversive works of demonic powers. Real sheep, like the ones in northern Idaho, need shelter from natural storms and so do the followers of Jesus Christ who are defined in Scripture as sheep and will encounter deadly storms in the spiritual realm. Our place of shelter in these storms is not found in the structure of our ministry or in fearful places of isolation. Our shelter is found in a person – Jesus Christ. He is our only sure shelter when the winds of darkness and division begin to pierce our soul. Any other protective enclosure will not have the insulating properties needed to keep the cold of a loveless faith away from our hearts. Shelters built around preferred theologies, political ideologies or unrestrained human emotions will always put sheep in jeopardy of dying a premature spiritual death. Examine where you and your sheep are grazing. When the personal and cultural storms come, where can the sheep under your care run for shelter? When the storms arrive, you have been called to give people a place free from the bone-chilling winds of deception that can easily hide behind a mask of religion. Entry into this place of safety does not require agreement on anything but the person of Jesus Christ. All other shelters will put people in a position of unnecessary vulnerability. If you help to build a place of shelter, you will someday sit around a table of fellowship when a storm has finally passed, and the sheep are safe and warm. At that moment, you will know you did something right and good. 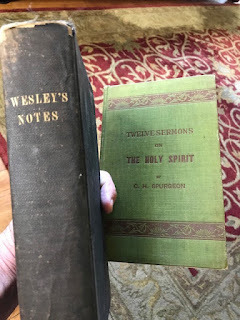 These two books have sat on the shelves of my library for over 30 years. One book is filled with John Wesley’s sermon notes published in 1847, and the other contains Charles Spurgeon’s sermons published in 1855. I pulled them off our bookshelf and held them in my hands contemplating the value of the legacy each of us will leave behind. Like you, I want to leave behind the evidence of the same passion and purpose for God's Kingdom that motivated these two great men and others like them. Each of us will leave behind a record of our life. Our choices are what will determine the quality of our life message. In certain seasons of life, each of us will be surrounded by very challenging circumstances. The challenges do not determine our legacy. Our response to the challenges is what will create the script of our lives. Someday long after each of us are gone someone will hold a book or share a story that will describe our time on Earth. When we live for the glory of God, we will leave behind the evidence of a life that was empowered by a passion to pursue a higher good and a greater purpose. That is the kind of life that will be remembered and emulated in the distant future whenever someone hears a story or holds in their hands a record of a life well-lived. Capturing an image or a sound bite of a person’s moral disgust will always be misunderstood and misinterpreted by those who have no morals. There is something called righteous anger. This kind of anger must be disciplined when it arrives or it will take you to places you do not want to journey. This emotion is not a sign of weakness or intellectual ignorance. To not be disgusted and angered over things that harm individuals and the larger culture indicates a numbness in our soul. This is a more perilous issue than a display of moral disgust or righteous anger. Some of you have walked by a place of fruitfulness not seeing it with the eyes of the Spirit. It has remained unnoticed because it was a matter of timing, not because you were spiritually blind to its reality. God has embedded supernatural fruitfulness in your life in an obvious, but an unrecognized place to be discovered and experienced in this season. God is about to draw your attention toward the fruit of this provision. When He finally makes this embedded fruit known to you it will be a notice that an unexpected provision of His goodness is about to be revealed and released into your life. Labels: Kingdom of God, Revelation., Teaching, Vision. Wisdom does not always provide easy answers. Neither does it answer the deep questions about life from the same shallow resource pool of information used by the asker to frame their inquiry. Wisdom responds from a deeper source of revelation not considered when there is a demand for a quick and simple answer. God is not nervous or hurried in how He responds to the questions asked by people, neither should we. Most evangelical Christians would pounce on the opportunity offered by the young man’s question inviting the man to bow his head in the supermarket checkout line to make sure he got saved. I don’t fault those who take this approach. I just think more is at play. Jesus was after something deep inside the man’s heart - something still uncovered that could hinder Lordship if not addressed. It would require wisely crafted questions to uncover this hidden treasure of possibility. After telling Jesus he had kept all the Law, the young man asked another question, “What am I still lacking?” Jesus, going deep into the place of the man’s misplaced identity, told him to sell his possessions and give the money to the poor. The Lord's answer went to the real heart issue, “You must love your neighbor as yourself.” The Scripture tells us the rich young ruler went away sad from this encounter. Many of our first answers to the questions asked by individuals and the broader culture are not the answers God would provide. Wisdom will ask us to pause before we respond to a surface inquiry. In the pause, revelation has an opportunity to come and help us ask the kind of questions that can actually get to the heart of the issue being addressed. That is the kind of wisdom that has the ability to answer the deepest questions about life if we will give it a place in our dialogue.